When I was growing up, we rarely got anything in our stockings. My parents had a hard enough time being able to put a few gifts under the tree. They didn't see the point of wasting money on little things that ended up getting broke or lost within a week. On the rare occasions that we did have something in them, we would find an orange, apple, or candy cane. I can remember not being very impressed because we had access to fresh fruit all year but that wasn't always the case for people in Appalachia. 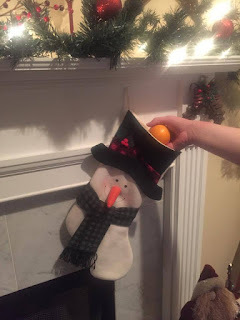 There is some history behind Christmas oranges. St. Nicholas was a bishop before he became a saint. The story says that he rode through a town where a storekeeper had three beautiful daughters and couldn't afford to offer a dowry for them. This meant that the girls would become destitute once their father passed away.